Scarring is one of the complex repair processes of the skin during the healing process after injury, surgery. 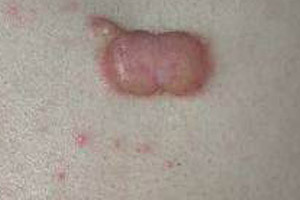 From an excessive scar wound healing response in the form of hypertrophic scars or keloids may arise. Scars can also manifest as a “minus” of tissue with unsightly, dimple-like depressions of the skin. 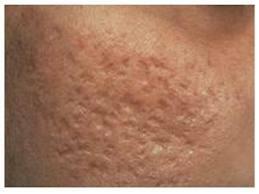 “Atrophic” these so-called scars can be caused by acne often. Depending on the type of scar, there are various treatment options. 6 Filling of scars: in deep defects with autologous fat, hyaluronic acid or polylactic acid. Combinations of different treatment methods are possible. Mostly over the time you can achieve better results. Sun protection after treatment is recommended.